We spent the second night on Route 66 in St. Louis, where we met up with a friend who showed us Soulard, one of the many walkable neighborhoods in this city on the Mississippi River. Soulard retains nineteenth century charm with its red brick Victorian-style buildings and row houses dating back more than a century. We spent the evening at the 1860s Hard Shell Cafe and Bar. 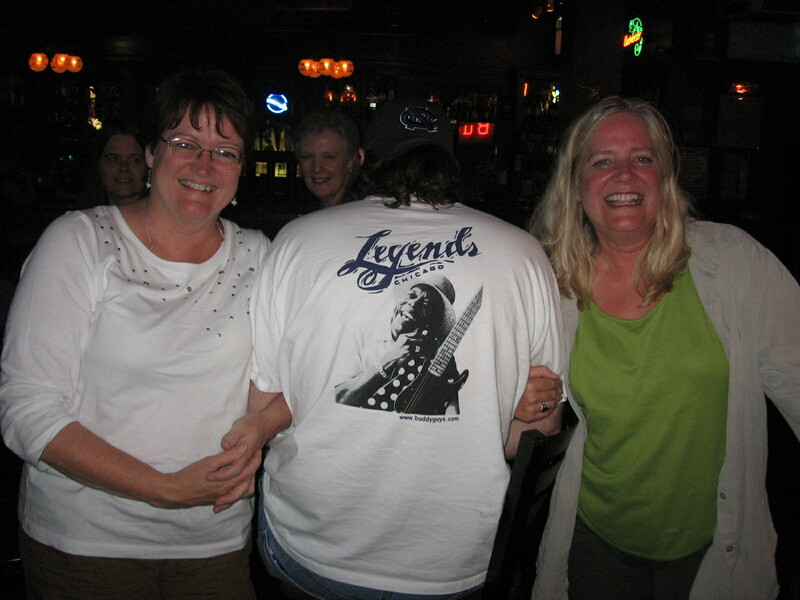 When we walked in the door, a band played on stage and the lead singer wore a Buddy Guy T-shirt. When the band took a break, we told him about meeting the blues legend the night before, and he was astounded at our good fortune. The next morning we paid the obligatory visit to the Arch, which I probably won’t do again. I’ve never suffered from claustrophobia or vertigo, except on this day. The elevator cars going to the top hold five people – all seated with knees touching. It takes four minutes to get to the top, 630-feet above the ground. Once at the top the viewing space is very narrow, I felt the walls pushing in on me. When I began to panic, I headed back to the elevators to descend, leaving my fellow travelers all the enjoyment of peering out narrow windows to the landscape below. A few weeks after we visited, the power went out in the top, leaving folks stranded up there for awhile. I was very grateful I wasn’t one of them. We spent the rest of the day driving through Missouri. 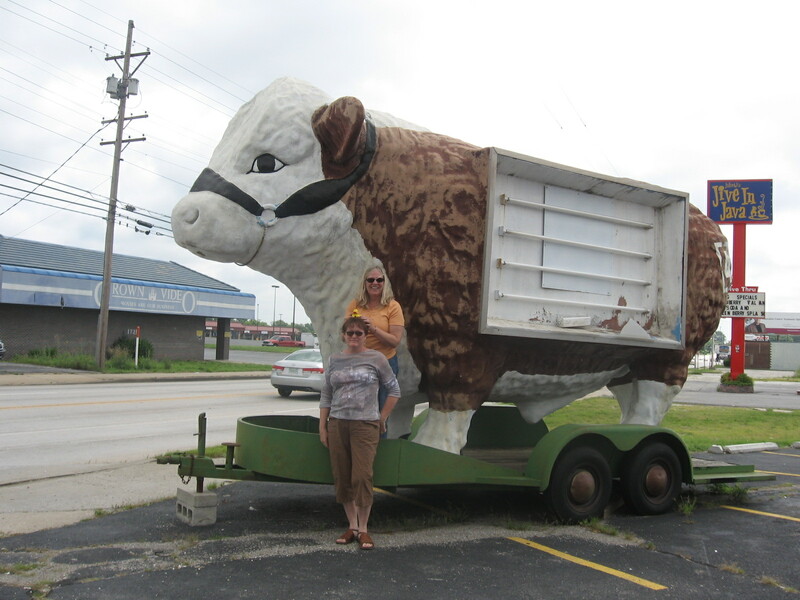 We ate lunch in Cuba, MO, at Frisco’s Bar and Restaurant with tall stools and an old jukebox. 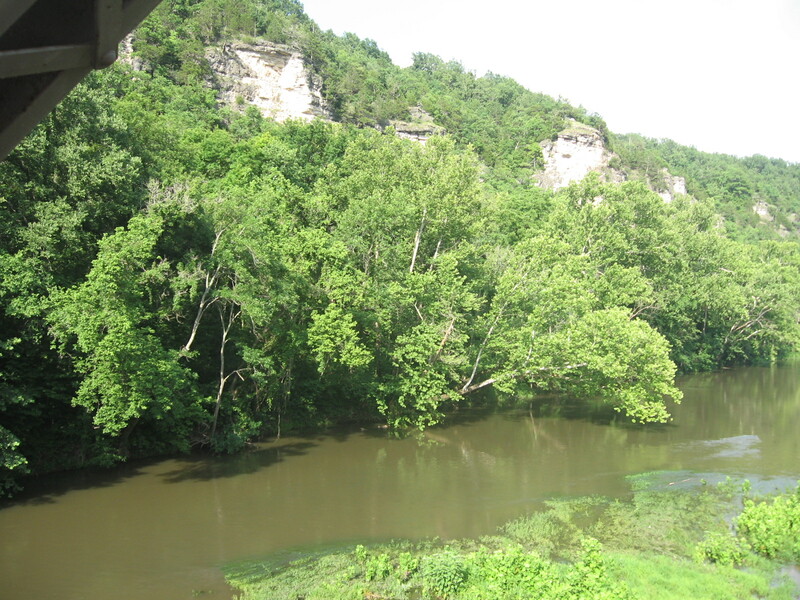 By late afternoon we were following section of the Big Piney River and enjoying the rural beauty of the Ozarks with their green rolling hills and wide-open spaces. 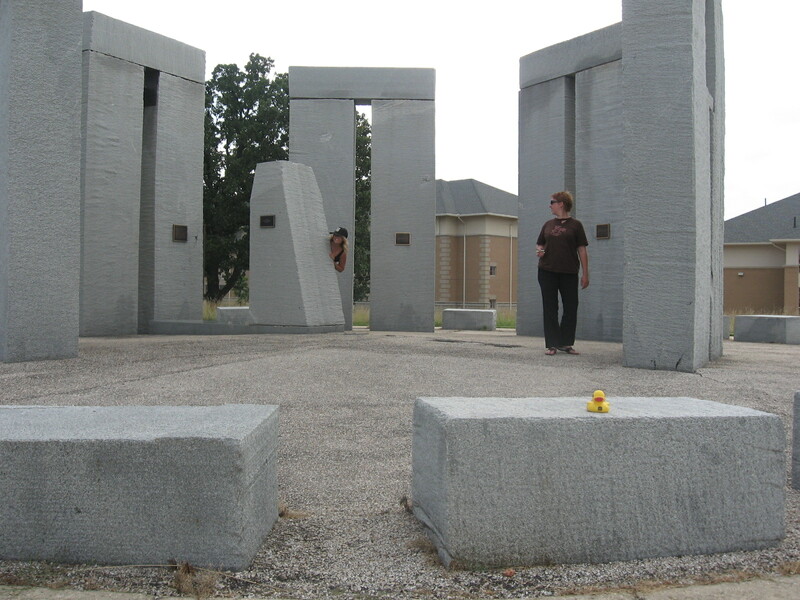 We were on a mission to find the Stonehenge replica on the campus of the University of Missouri in Rolla. It’s right on the route, but we missed it the first time round. When we saw the sign for the university, we made a U-turn and tucked off the side of the road. Sure enough, we found Stonehenge in Missouri, with the rocks all aligned just like its English original, except this “Stonehenge” is smaller and much more accessible. We could actually walk among the rocks. We made it Springfield, MO, by sunset and settled into our hotel not far from the historic district, which closes up rather early on weeknights we discovered. That’s all right. We had big days ahead of us now that we’d crossed the Mississippi River. We’d left our eastern selves behind as we headed west on the Mother Road. This entry was posted in Route 66, Uncategorized and tagged Buddy Guy, Mississippi River, Missouri, mother road, Rolla, Route 66, Soulard, St. Louis, Stonehenge. Bookmark the permalink.